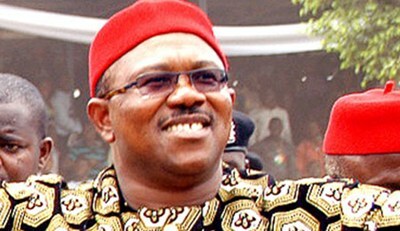 Peter Obi has called on Nigerians to pray to God to lead Rev. Fr. Ejike Mbaka right. Obi also called on Nigerians not to condemn the controversial priest and founder of Adoration Ministry, Enugu state. He made this known in a statement issued to newsmen by his media aide, Val Obienyem. This is coming after Mbaka publicly declared that Atiku Abubakar, the PDP presidential candidate, will fail in his presidential bid. The priest was made the declaration after Obi, who he asked to publicly make a donation to his ministry, opted to do so in private. “If there is a place they will coat words for you, it is not at Mbaka’s altar. You can save your political destiny. Or in 2019, you people will not even know how they did the election. What will make my brother to come for bazaar and he won’t even break kola? “The way you and Atiku are moving will end in shame,” he added.